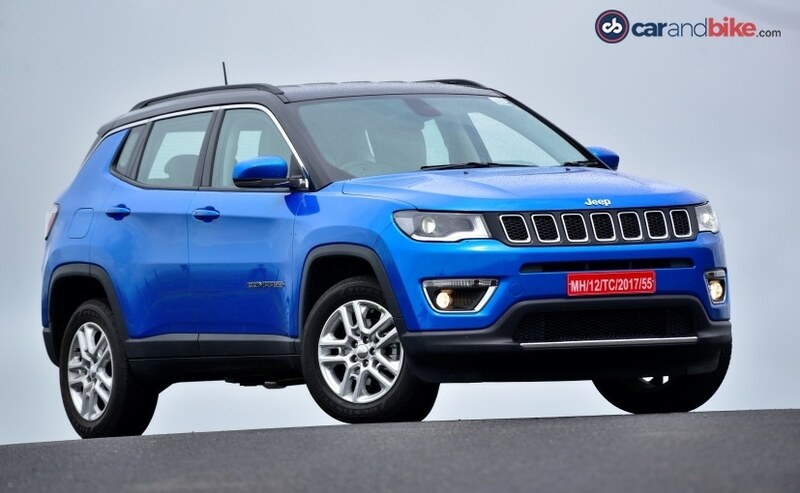 Is the Jeep Compass a good package for India? We've finally got a chance to drive it on our roads and find out exactly what it's all about. 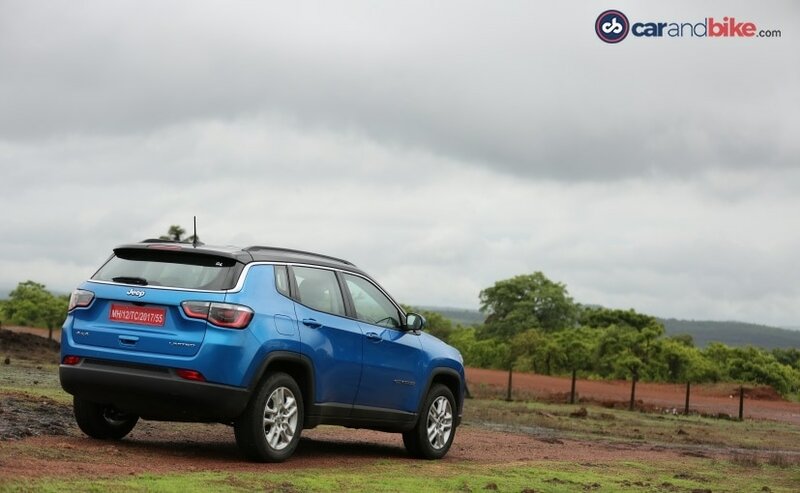 If there was ever an auto manufacturer that promotes its heritage, both by subtle cues or screaming through literal rooftops, it is Jeep, much before we heard about the Compass being made in India. With the likes of the Wrangler and Cherokee immediately bringing up images of tough vehicles that can go through obstacles like a hot knife through butter, Jeep has always made cars, that can take on anything, and go literally anywhere. And so we come to the new entry level offering from Jeep - the Compass. 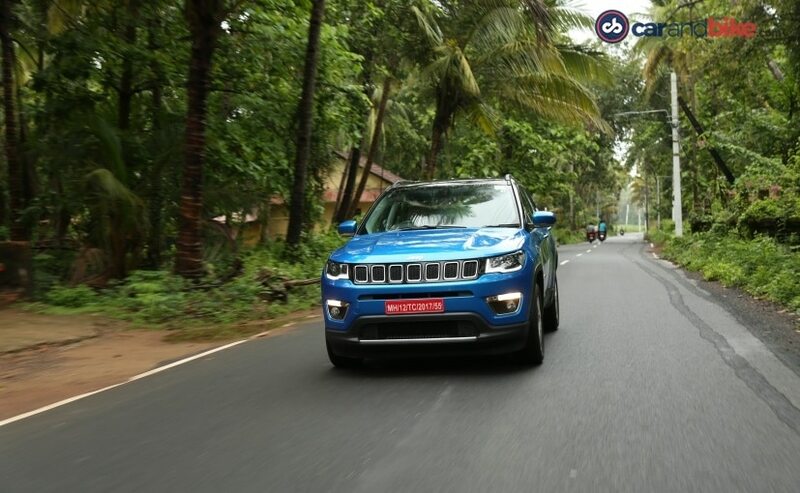 Now, a compass is an instrument that helped early explorers find worlds they did not think existed, and that's exactly the message Jeep is trying to deliver with their smallest and most affordable offering in India which is made for both on and off the road. The difference is, this Compass is made for India and 'made in India'. The model will not only be sold in domestic markets but also exported to all right hand drive markets globally. 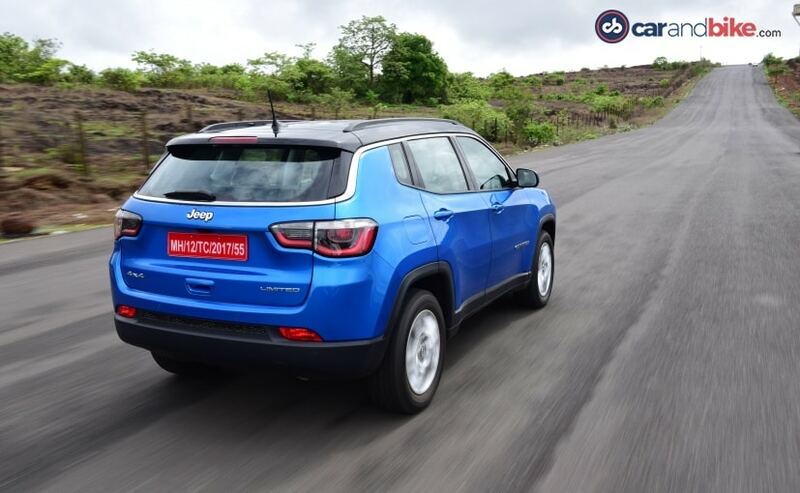 So, Jeep has a lot riding up on the Compass as it aims to make a mark in one of the fastest growing markets globally. Read on to know if the iconic American automaker has got the balance right. Let's start with the most obvious. The way it looks. 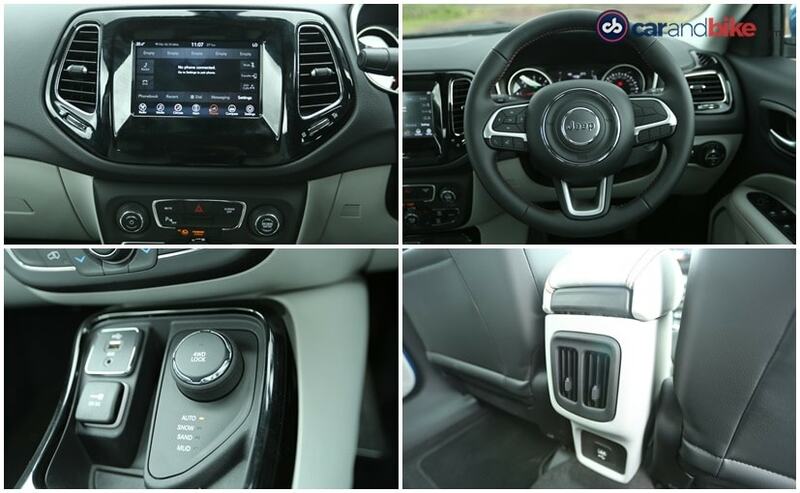 At first glance you could easily mistake the Compass with the bigger SUV in the Jeep range - the Grand Cherokee. The typical seven slat is as 'in-your-face' as it can get and is finished in a shade of gloss black that makes it look premium with the slats getting a chrome surround. The grille is flanked on both sides by the headlamps that have a simple projector setup. A set of slightly more complex looking LED headlamps would have really looked much nicer though. 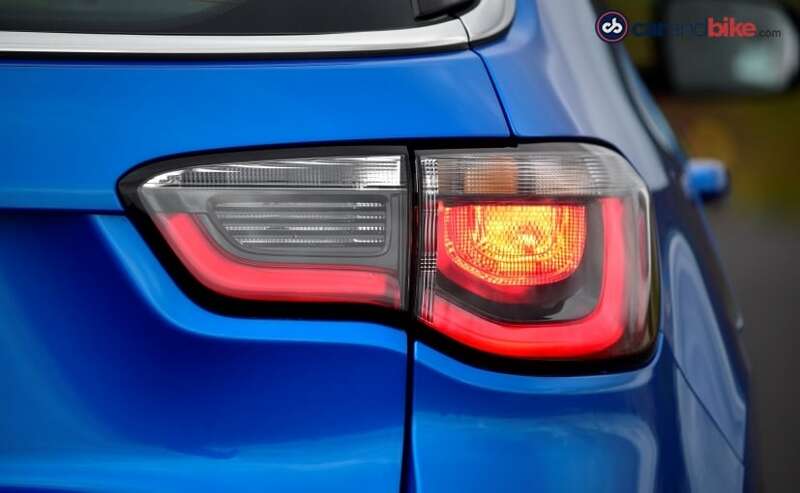 Move on to the bumper and you have a slim vent right above the number plate bracket and two fog lamp surrounds that also house the daytime running lights. The lower half of the front bumper stays unpainted and a chrome accent piece accentuates the typically American SUV styling on the Compass. Overall, when viewed from the front then, the Compass does look quite wide and muscular, especially with the well-placed cuts and subtle bulges on the bonnet. The butch SUV styling continues when the Jeep Compass is viewed in profile. 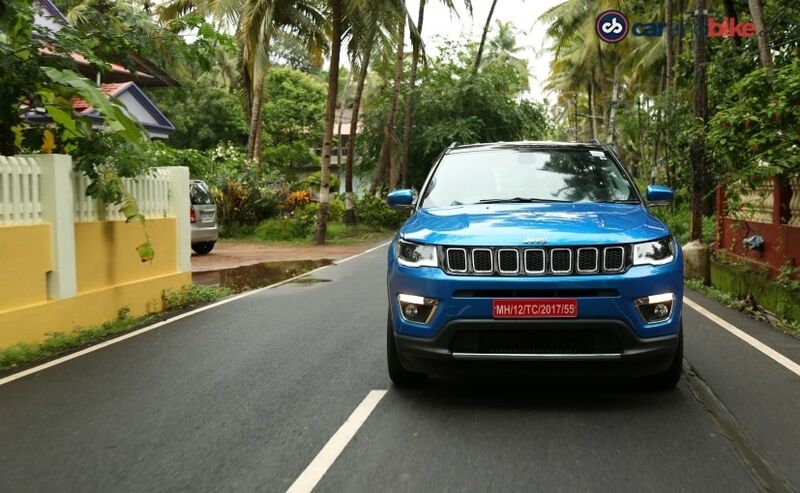 The squared off and muscular arches are a typically Jeep and give the Compass the look Indian customers lust over - that typical old school SUV charm. There aren't any glaring design lines on the side but what you do get is a very distinct shoulder line. There is the plastic cladding that runs around the bottom of the doors and across the wheel arches continuing all the way from the front bumper to the rear bumper. There is, however, that one cool thing about the Compass that makes it stand out - the floating roof. The floating roof and the chrome accent piece that separates it from the rest of the car also moves around the back right below the rear windscreen giving the back-end a nice premium touch. Although we personally prefer the fact that Jeep has stayed away from any unnecessary chrome pieces on the boot, Indian customers are guaranteed to find 'jugaad' solutions to that too. The tail lights look great, finished in a semi-gloss black and have depth to them with the red LED parts looking well layered. The rear bumper, just like with the side skirts get an unpainted plastic cladding on the bottom which is very typical in most SUVs but skips out on the silver skid plate like the front bumper. 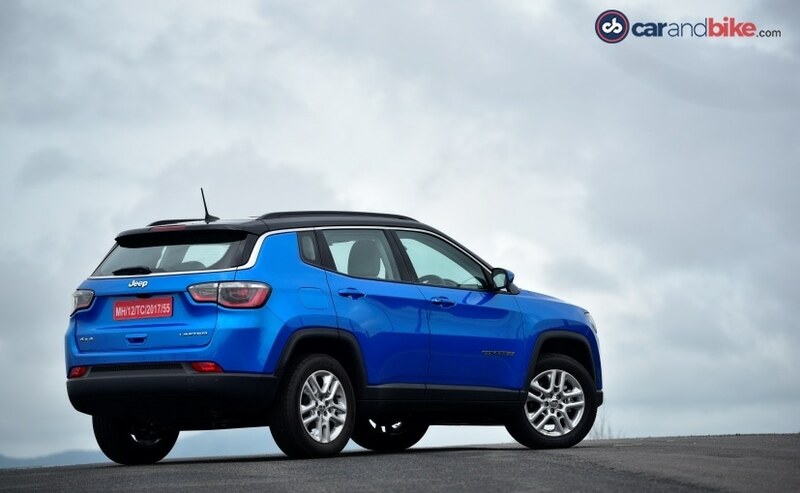 The Jeep Compass gets a set of 17-inch alloy wheels as standard. The design is rugged and complements the overall stance of the car really well, but does seem a little plain as compared to some of the other cars in this body size that come with a more modern diamond cut style. That said, considering the fact that Jeep's performance brand Mopar will soon launch in India and offer quite a few optional accessories for the Jeep range, buyers can always opt for a different, more aggressive, set of wheels. For the time being though, the ones on the Compass, as we mentioned earlier, do look quite nice. And so we move on to the cabin. Considering the fact that the interior is where most of us will spend most of our time, it was crucial that Jeep got the quality of the materials and the layout perfectly right. Let's start with the design and the layout first. The Compass is a little boring when it comes to the actual design of the dashboard but at the same time, it is quite utilitarian. The dials and knobs might look from an older generation, but they offer a sense of usability that a lot of cars miss out on today, and that is something we do appreciate. Other areas of big improvement are most definitely the infotainment system. The touchscreen is a tad unresponsive even when compared to ones now available in much cheaper cars and the way the Apple Car Play is laid out in the already small screen using a sort of sub screen is just, well, strange. It almost defeats the whole purpose of having a sub system like Apple Car Play in the first place by adding clutter to the screen. Quality of everything otherwise on the interior is great - including the soft touch materials on the dashboard and the leather on the seats. The seats are wrapped in a light beige - almost white shade which makes the cabin look very bling and very premium. That said, considering the level of dust we deal with on a daily basis and the pollution in our metros, we aren't sure it is a great idea. However, there are a wide variety of protection and cleaning products available in the market to remove the muck and mud from your Compass after you take it off-road, so, in hindsight, it shouldn't be much of a problem. The seats are comfortable too. With their harder bolstering, the back and under thigh support for the driver's seat is great. 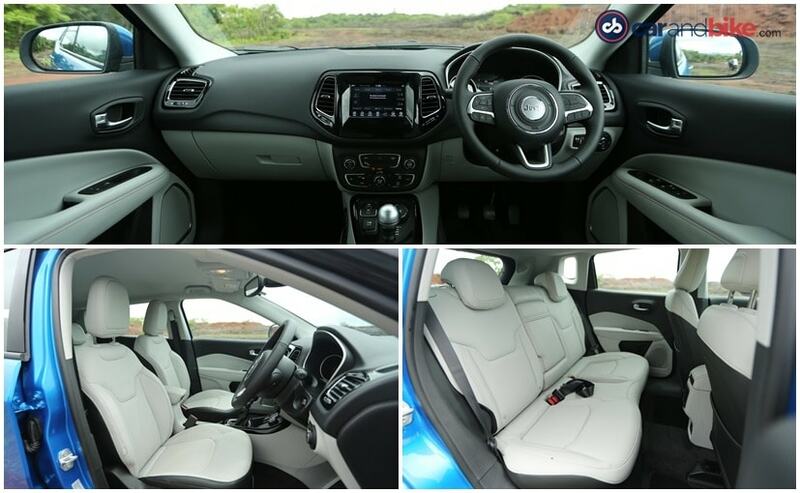 Rear seats too are very comfortable and although some older passengers might find it slightly more difficult to step into the Compass as it is a tad bit high, once in, they will be treated with a lot of leg space and headroom. The rear passengers also get two AC vents and a USB charging point - both absolute essentials must haves. 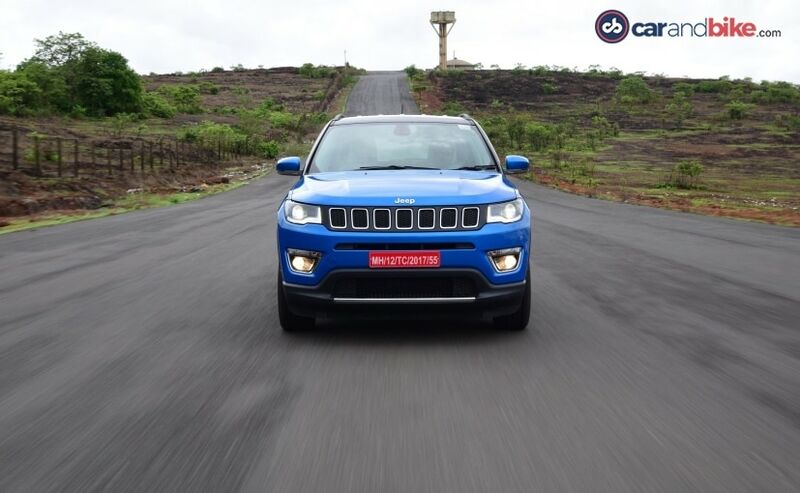 The Jeep Compass is powered by a 2-litre 4-cylinder turbo diesel engine that makes 171 bhp and 350 Nm of torque. As of now, it is only available with a 6-speed manual gearbox. Our verdict on this engine is simple - it is a HOOT to drive! The Multijet family has been known for some of the nicest and most responsive diesel motors in the world (and in India) and the new 2-litre is no different. There might be a slight lag of power till about 1500 rpm but once the turbos spool up, the Compass quickly points in the right direction - forward! Power delivery is very linear and you can really go through the gears shifting quickly while keeping the turbos spooled up to give you a big wallop of torque. Throttle response is great and so is the clutch feel. It might have just a hint of heaviness but that is expected of a clutch that is designed to handle 350 Nm of peak torque. The gearshift itself could have been much crisper as we did find it just a tad bit too rubbery but the best part is the actual gear knob itself. 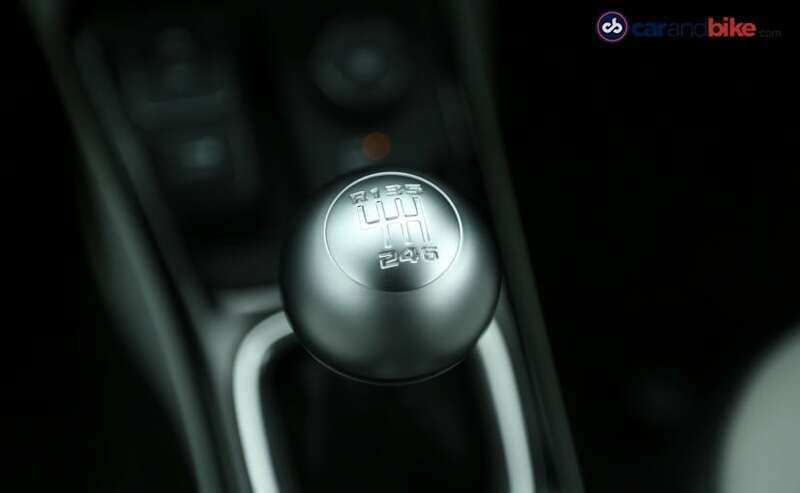 The aluminium finished knob feels nearly perfect in the palm of your hand and actually makes you want to shift as much as possible just so that you can mentally feel like you are driving a gated gear shifter from a 60's Le Mans winning Ferrari 250 GTO (ok, maybe that's taking it a bit too far). We usually expect American cars to be comfortable and soft at the expense of being not so good in the corners. And that is exactly what I thought the Jeep Compass would be all about too. But boy was I in for a shocker! The Compass is very well sprung and comfortable and yes, it will go through a set of potholes like nothing happened and ride quality is great too - but it also handles exceptionally well. In fact, I will go out on a limb and say that the Compass has one of the most balanced chassis I have seen in an SUV for a long time. 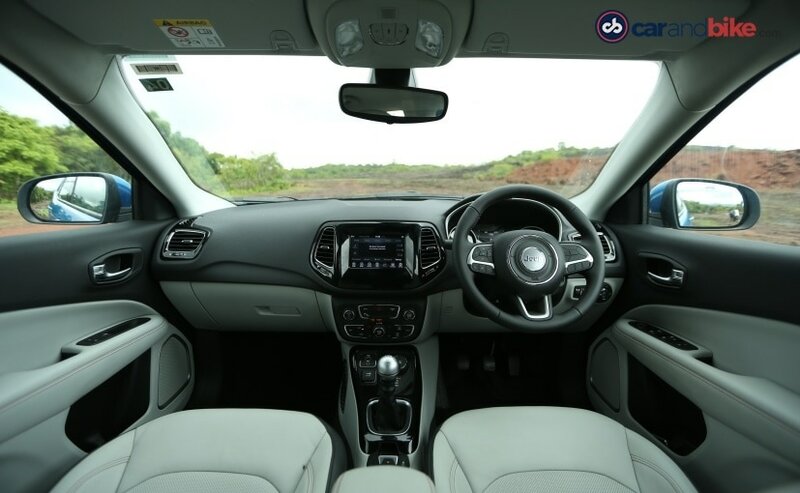 But my favourite part about the Compass is not the power delivery, or the looks, or the interiors or the great ride quality, My favourite would be the way the steering system is set up. The Compass may have electric power steering but whatever pixie dust Jeep has used to weigh it up is worthy of genuine applause. The turning feedback is precise and the Compass changes directions like one of the German sports SUVs, and that, is high praise indeed. I wonder if Ferrari or Alfa Romeo had anything to do with it considering the fact that they are all a part of the same FCA family! The Jeep Compass is a very very good package - and considering the fact that I have used the term 'very' twice, it is genuine praise. It looks great, has a nice interior (although there is definite room for improvement here) and drives well too. The only thing left to see is the way Jeep prices it. 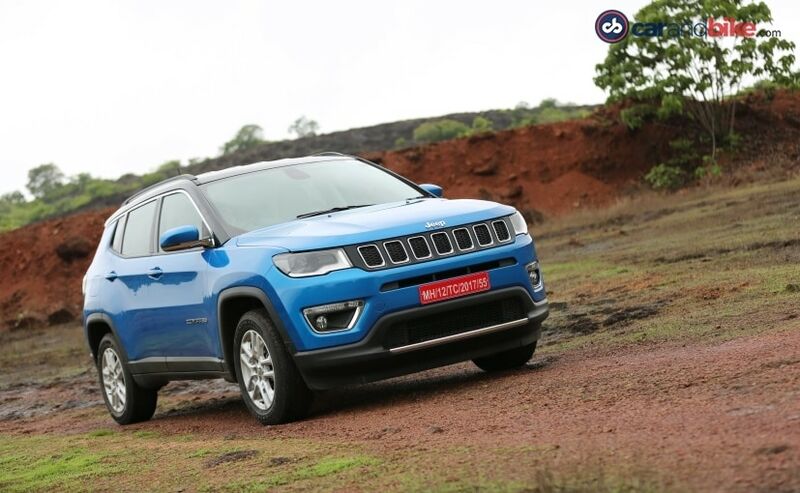 We have been promised by Jeep India that we will not be disappointed by the way the Compass is priced and we hope it keeps its promise as the Compass has a ton of potential in India. That said, what FCA India needs to worry about is the sales and service outlets to cater to the hordes who will want to buy one.